Two-way communication is a unique benefit of DoctorConnect’s system. 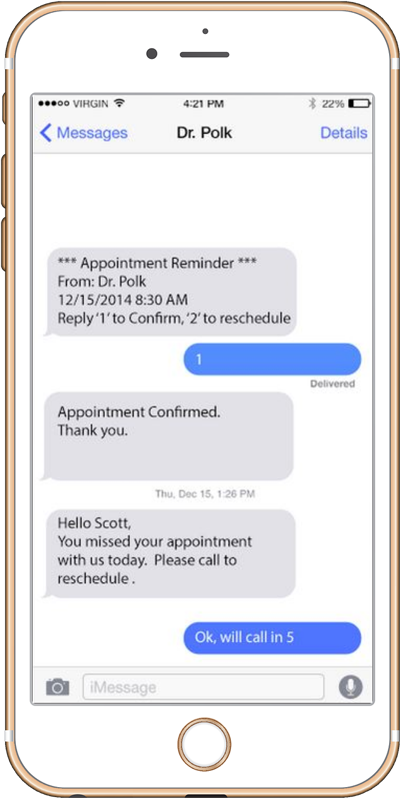 Your patients can immediately confirm or request a reschedule through any reminder method, and their responses are automatically logged in your system. DoctorConnect is very helpful. We are able to communicate quickly and effectively with patients. It has been a lifesaver. Our sales executive is always helpful and friendly. She makes sure everything is operating exactly the way we want. 5+ stars.